That “75” has a nice ring to it doesn’t it? Especially in years as it relates to a CFer. Sutton is 9 months old, which equates to 3/4 or 0.75 years, but she will definitely keep going upwards and beyond 75 years old. After all of the hardships we encountered at the first of 2013, we sure have come a long way. 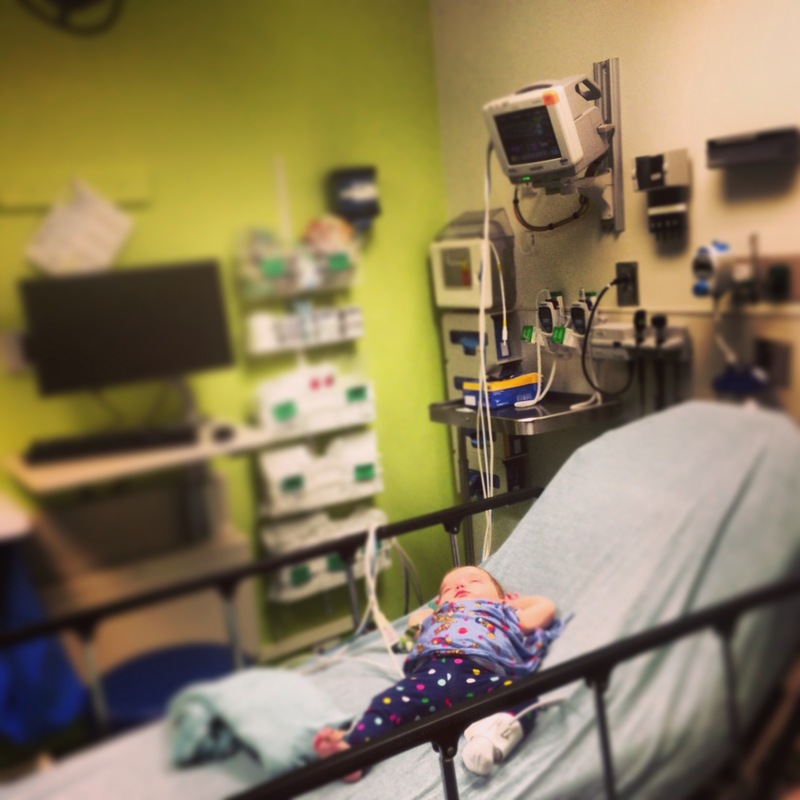 We haven’t had any reason for the hospital and our visits to the CF clinic are becoming less frequent. We have so much to be thankful for and her progress had been such a big part of that. It seems too hard to believe that it wasn’t that long ago that we were regulars up on 5 West. We know we could see 5 West again someday, but we are feeling good about Sutton’s health for now. Since our news story aired in May, a few things have happened. 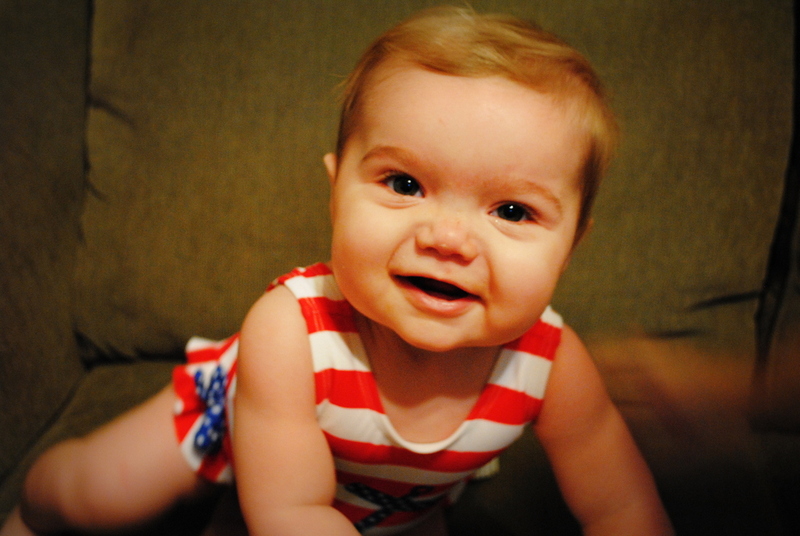 Sutton had her July CF clinic visit, two months following the previous visit! We made it two months between visits without any concerns and are still going strong. The visit was a very good visit. We met with the doctors, nutritionist, nurses, and respiratory therapist(“Uncle Robert”) and everybody had good things to report. She is breathing well, maintaining a healthy weight and no signs of any breathing distress. The visit was not only good for us but for the clinic as well in their new location. The clinic is much nicer, still close to home and the best part is that there is plenty of parking. Sutton’s next round of visits were to Dr Wise, our pediatrician. The visit went very well with all good things to report. Dr Wise was happy with Sutton’s growth of 75th percentile in weight and 95th percentile in head circumference. As I mentioned before in an earlier post, we are closely watching her growth through the first year. 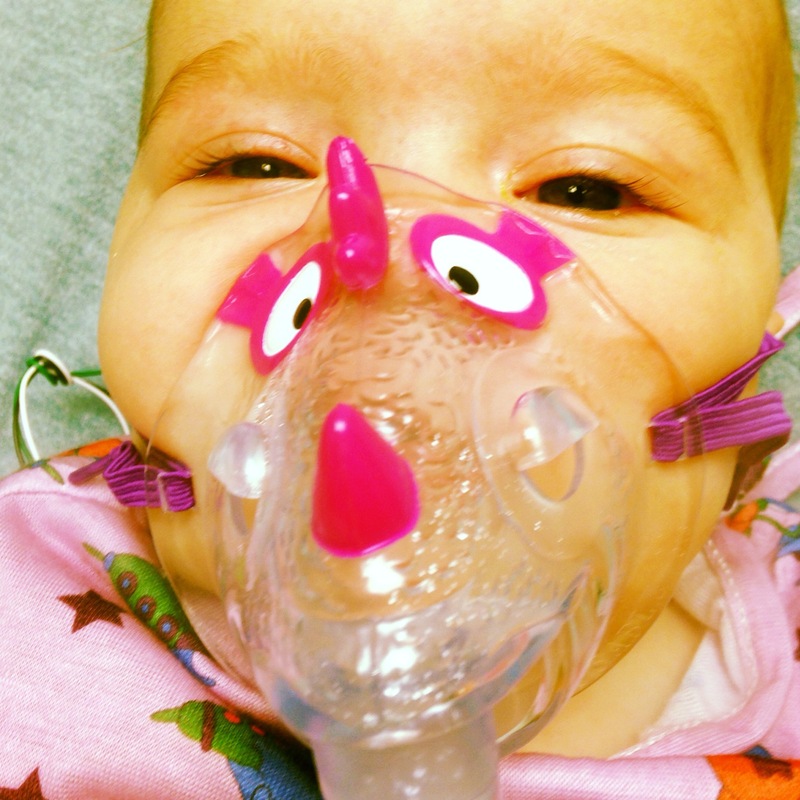 Significant growth is an indicator of healthy lung function later in life for a CF baby. We are starting to see some other growth as Sutton is learning and showing us new things every day. So far she is waving and saying “Hi” and “Bye-Bye”(in a better than baby speak), pulling up and standing on her own unsupported as well as crawling just to name a few… It won’t be long before she is ready to read. Team Sutton Grace is in full preparation mode for the CF Cycle for Life on November 9. As we meet with the other board members, it’s always encouraging to know that we are all fighting together. It is easy for a new parent of a CF child to be energetic about fundraising, awareness and curing the diseases. We all have a motivation to keep us going. It is when we finally get a chance to take a breath and realize what it is that is amazing about the people fighting along side us. They didn’t start this fight when we did. They were already in the fight and some of them for a long time. It is a great feeling to know that we just help fuel the momentum and not that we are picking up slack or reigniting the effort. We are a part of something that we know will find a cure for CF and these type of people won’t stop there. We will fight for something else when CF stands for cure found. It is truly amazing to see how far we have come since we began this journey. We know that there will be many challenges along the way, but we embrace every minute of being a part of Sutton’s life as we move along. She has taught us so much and continues to teach us and others things like patience, love and most of all the true meaning of Grace. We are looking forward to the years ahead. Posted in Updates and Info. Bookmark the permalink. Ever wonder how stars are born? They are either children of a star or get a lucky break and some producer puts them in stardom. The other type of star is born in way as mysterious as they are magnificent shining in the sky at night. Im sure Stephen Hawking has an explanation for that. There is yet another star. It is in some ways a combination of both stars. They share similar characteristics. One that people follow for some reason but they also shine out to everybody. Amazing and wonderful with a light that shines to capture our attention. Sutton is the combination star. She has spread a light of joy to so many people and even has a fan club with over 2,000 followers of this blog and growing. Her contagious spirit has touched so many people. We built a team of over 70 people for this years Great Strides walk, while raising over $22,000. It was Sutton who brought this team together. Many times I wonder how some little girl so cute can have CF, but then again maybe its the fact that she has CF that she is so cute to make life easier. Her famous debut was aired on Fox 5 here in Atlanta on May 20, 2013. She was now sharing her smile with so many strangers. The Fox team did an amazing job portraying her life and happiness while stressing the struggles she lives with on a daily basis. They helped spread her light to so manh more people. We have received several emails from strangers that were touched by her story. We added a bunch of new followers to the blog and feel as if we have accomplised a little more by raising more awareness to CF and the hope of a cure in the near future. We have met other CFers, parents, relatives and friends. Her story even reached Elena’s aunt in Chatanooga where she was able to read our post about her! Want to watch the news story? Click below to read and see Sutton’s claim to fame. It seems like we are constantly in a fundraising loop, but that’s what you do when you daughter has a genetic, life shortening disease, we find support to cure it! We have wrapped up our fundraising for the 2013 Great Strides Walk and are now shifting into CF Cycle for Life. 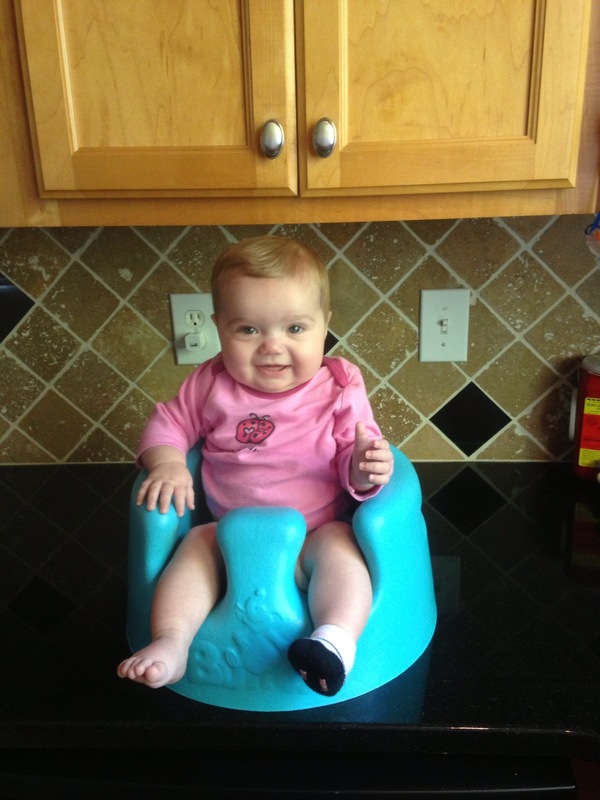 Last year, Sutton was less than a month old when we participated in the CF Cycle for Life. There was only two team members, JV and myself, less than 2 weeks to raise money and we weren’t even close to understanding anything about CF. But we were determined and now, 7 months later, we are getting a head start on building a team and raising funds. Team Sutton Grace is currently looking to add cyclists to our team in hopes of having one of the largest groups of riders in the history of the event. We are looking for new riders, casual riders, pro riders, anybody that has a desire to jump on a bike for a casual and non competitive 15, 30 or 65 miles. It is in beautiful Serenbe Georgia and takes place on November 9, 2013, so the weather is perfect. We will help get you set up and teach you everything you need to know to ride towards a cure for CF. JV and I are dedicated to Team Sutton Grace and are here to support everybody who wants to ride. If you don’t want to ride, you can still sign up as a virtual rider and come out to the event to hang out and have a good time with the team. Brittany and I are on the Executive Board for Georgia CF Cycle for Life. I truly believe it has nothing to do with my legs in bike shorts, but rather Brittany’s gift of fundraising. The board is comprised of a great group of dedicated individuals hoping to take our chapter ride to the top of the chart for all of Cycle for Life across the country. We are starting to look for sponsors for different levels and bring on teams and individual riders throughout the community of Atlanta. We have several training rides that we will be sure to advertise and hope that many of you will join us for this amazing event. If you know of anybody who is interested in riding, forming a team, or becoming a sponsor, be sure to contact us. Thanks so much for everything you do to support Sutton, our family and all of those winning the battle against CF. We won’t stop fighting until CF stands for Cure Found! Fill out the form below if you are interested in joining the fight against CF! Posted in Updates and Info and tagged bike, cf, cycle for life, cystic fibrosis, serenbe georgia, team sutton grace. Bookmark the permalink. You might think of the word overwhelmed as a word that describes somebody who is in too deep, trying to get it together, might just have too many things on their plate. We can’t say that I share that type of overwhelmed, but I can say that I share it in the sense that we are having a hard time with our emotions as we feel the great sense of generosity among our family and friends, as well as many people whom we just met or have never met before. It is truly amazing how people feel attached to something and begin to open their hearts and wallets to support something that they have never had any connection to before. 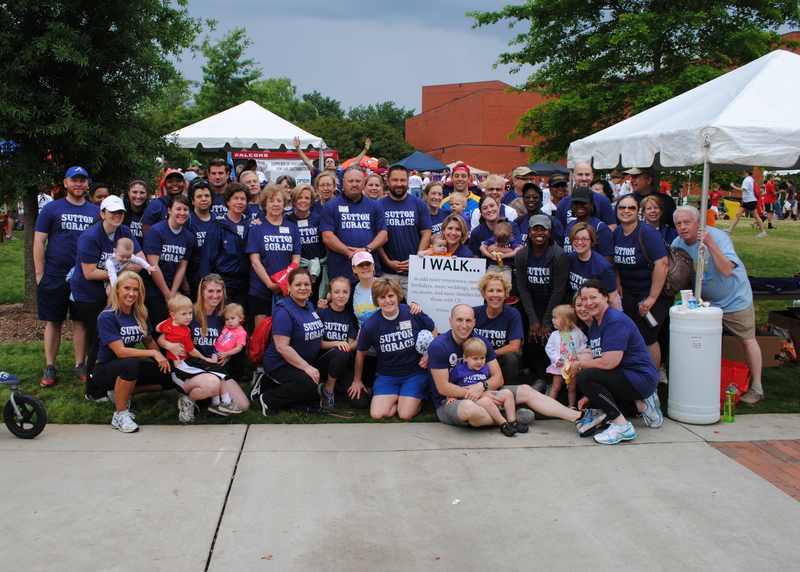 As we close on our fundraising for the Great Strides Walk at Georgia Tech last Saturday, we can’t help but feel overwhelmed as we cross over the $22,000 mark for fundraising, and that is only Team Sutton Grace. We have about 65 people planning who attended the walk and it was a huge success. There were over 2,000 people at the walk bringing in over $1.3 million. That is A LOT of tomorrows. We are humbled and honored to have so many generous, caring and dedicated friends and family. We also got to see several familiar faces; CF doctors, nurses, nutritionists and her crew from 5 West was there with a team. What a joy for us all to meet up for something so positive out of the hospital environment. It is also good to see that the people caring for Sutton and supporting us are just as involved as we are at finding a cure. We recently had our checkup at the CF Clinic on May 9. We couldn’t ask for a better report. Sutton is gaining weight at a steady rate, maintaining at or above 75th percentile with high hopes of a successful lung function later in life. She sounded almost completely clear and as always, had a big smile on her face. We were given the go ahead to, again, skip a month and revisit in 2 months for her next follow up. The doctors feel confident in her current health and we are back to our “normal” routine. Guess who is going to be a star? 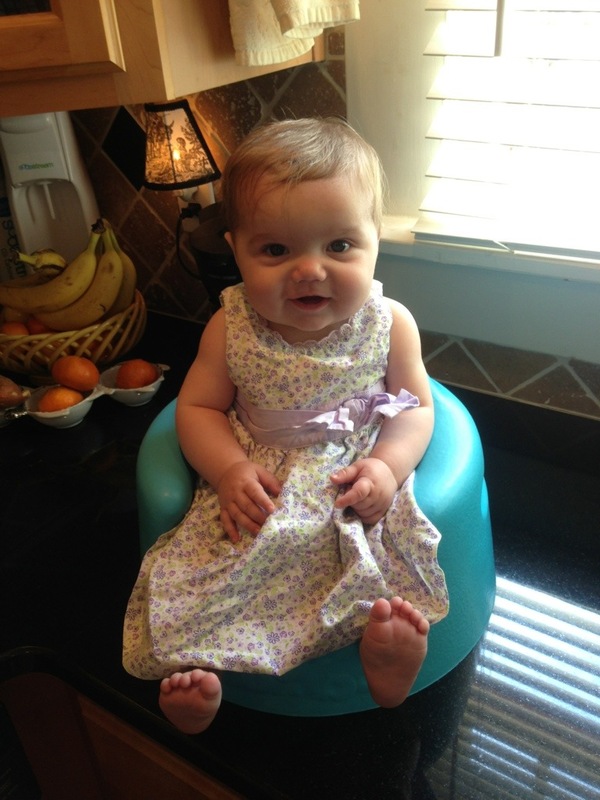 Sutton has her debut on Fox 5 News, May 20, 2013 at 5pm. The news team came to the house to film a story around Sutton. It was a great experience with both of the reporters who came to the house. They were not only very professional, but they were very helpful while they were here working with Sutton. We had two great visits from the team and were able to reveal some of Sutton’s story to be shared. Be sure to keep a look out for the story. If you miss it, we will be sure to post a link and a copy of the clip online. At least she is keeping up with her homework. We got a chance to break free from the hospital and were sent home! I know many of you are thinking, what happened to the long extended stay? The good news is that after a few days, we were able to get a few results back and found out that Sutton has Influenza B. That changed a lot of things since they weren’t going to do the Bronchoscope with all of the inflammation in her lungs. The other factor was that while she does have a bacterial infection, they were no successful at getting the picc line after a long try in both arms and we were back to the "no tubes attached" approach at dealing with her illness. We discussed with the doctors that there was no real need to be at the hospital if we were able to administer all of her treatment at home. They also relayed that they were comfortable and confident in us to stay diligent in her treatment to get her better. We will get some good bonding time together with the increased treatments. Let me give you a snapshot of our day…. Up in the morning with SourceCF multivitamin to replace un-absorbed fat soluble vitamins, Poly-Vi-Sol to increase vitamin D intake, Tamiflu to treat the flu, Omnicef to treat the bacterial infection and we haven’t even had a meal yet. Once all of that is down, it is on to Creon, an enzyme to help absorb fats, Prevacid to help absorb Creon, Formula mixed with rice cereal and salt to replace the loss of salt from sweating. Once that is finshed and we take a moment to digest, dad gets a cup of coffee and we are on to the vest therapy for 30 minutes and possibly Albuterol if needed. About an hour and a half and we just got the day started. Then comes dinner. Another round of Prevacid and Tamiful, Creon, Formula, rice cereal and salt. After our break, another round of therapy, but this time we are going to add in Pulmozyme, an inhaled medicine to help break down mucus in her lungs. If I lost you along the way, that’s one antibiotic, two vitamins, one acid reducer, one antiviral, two nebulized meds, specially mixed food, salt, and 20 pills of digestive enzyme. Did I mention that the Creon pills have to be broken open and placed in apple sauce on a spoon. Sutton is a pro at eating food from spoon. After all she has been doing it since her second week of life. The best part about it all is that our brain function is getting sharper each day as we remember and coordinate everything. 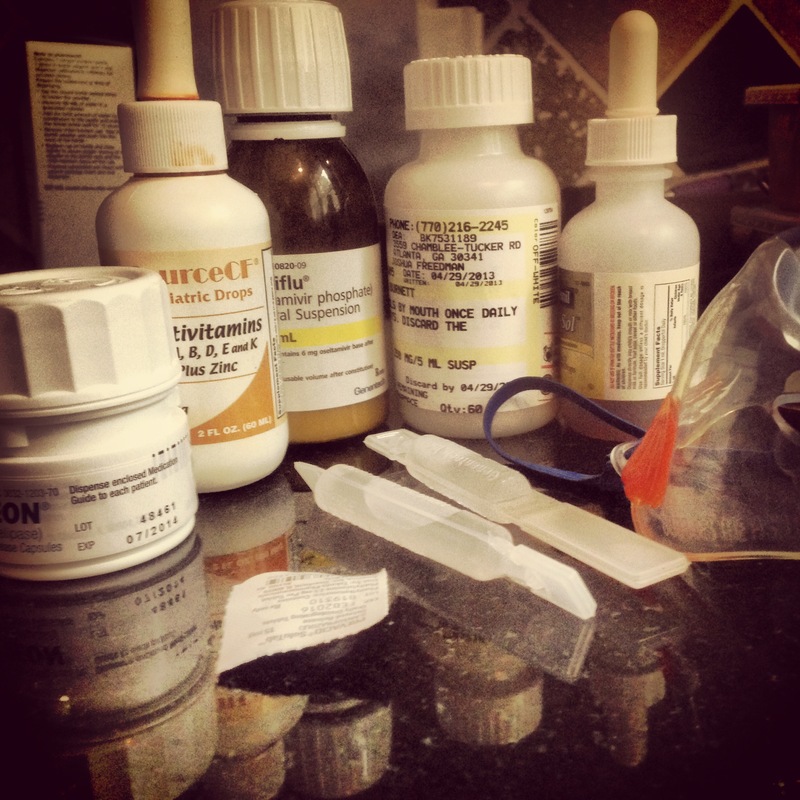 Let’s not forget about diabetic, insulin dependent dachshund…don’t worry, there isn’t a blog for that. There are many times that we all wish we could snap our fingers and make something happen. I know parents wish this more than others. We have many times mentioned that it would be nice to "take a pill and fix everything" We wish for that ONE pill that could take the place of all of the craziness that is our normal. It would give us, and eventually Sutton, so much of our time back. We enjoy the special time we spend with her, but we would much rather spend that time doing something much more fun. We are getting close to that pill, so close we don’t even have to imagine it. Following the introduction of Kalydeco, the research has followed to expand that dream to so many other Cf patients. They are close enough that another large percentage of the CF population is in the testing phase of their cure. Sutton isn’t far behind that group and they are in earlier phases of testing for her little pill. It all takes money and we would give everything we have to get there. This isn’t a sob story to try to get people to give money, its a plea, a continuing plea from a parent, father, mother, brother, grandparent….the list keeps going, to help us fix this. We all want to fix things for our kids, and we are so close, we have a fighting chance. I’m not asking anybody to empty their pockets, but rather help us get those small donations from our friends, neighbors, maybe even mere strangers. Stand beside us as we are part of something huge. I believe that our network of friends and family have the capability to be huge in this fight. We might not ask for this stuff to be placed in our lives, but maybe we were all placed in this for others lives. We can bring a momentum to this cure like they have never seen. I have been told that we are a passionate family, dedicated and determined. I tell people that they haven’t met the whole family. We are Team Sutton Grace because of all of you. From the deepest depths of our hearts…Thank You. We somehow managed to escape the hospital for a night of fun. The Cystic Fibrosis Wine and Roses Gala is a major fundraiser for the Georgia CFF Chapter. We attended the Gala with around 300 others, dedicated to raising money to end CF. There were so many great people there representing the Big CF Family. One particular guest was a 9 year old girl named Elena. The thing about Elena is no so much that she is just a cute little girl, and she is, but that she is dedicated to the fight for CF. She is strong willed, smart and is living a life with Cystic Fibrosis. 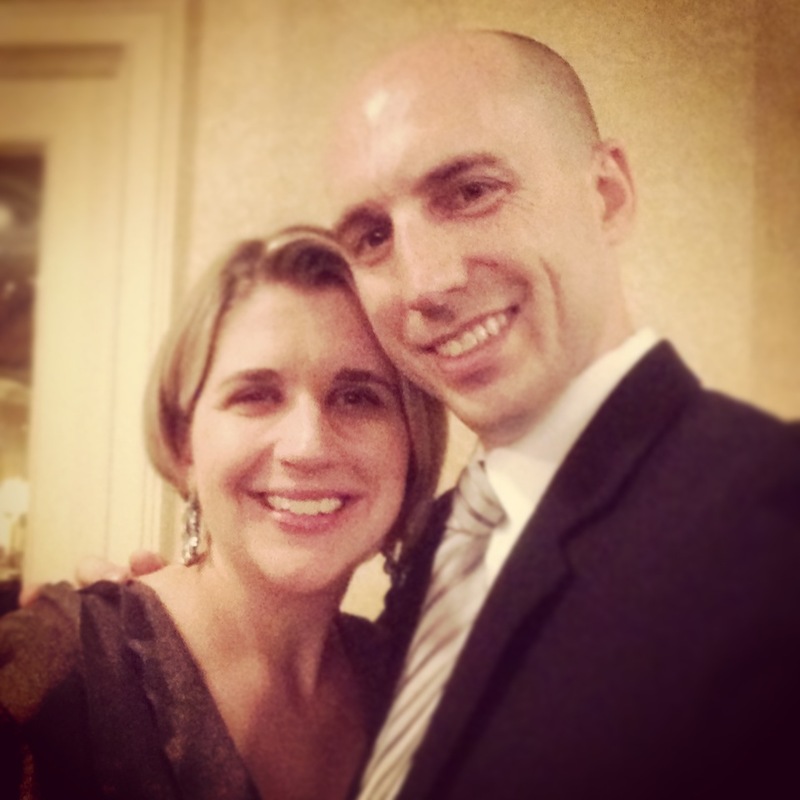 She has a true love for life and a passion for winning the fight against her disease. The night started with a champagne reception and lots of silent auction items to bid on. Then dinner started and was amazing. After a little live auction time, it was time for Elena to speak. Her grandfather introduced her, but there is no way to set the stage for such an amazing little girl to speak her heart about CF. It wasn’t the way she told some of her story and talked about the things she likes to do, it was the bravery, courage and determination that she showed when she spoke that was the true inspiration. She is fighting the good fight. I know that her parents must be proud. In fact, I know that everybody there that night was proud of Elena for reminding us that there is hope on the horizon and that we are closer than ever before to making this dream a reality for Elena, Sutton and every other CF’n person out there! 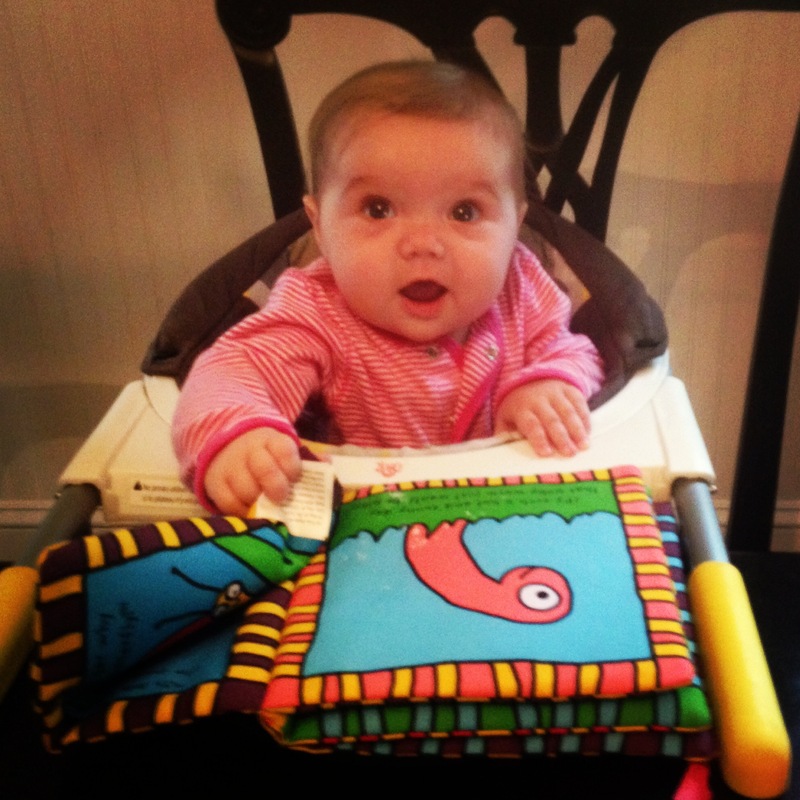 If you want to read more about Elena’s story, visit her blog. If you want to donate to Sutton and CFF for the Great Strides Walk, click the link below. Stay tuned for another post shortly with an important update about Sutton…. You can check out anytime you like, but you can never leave….or at least it feels that way sometimes. We are just praying that the fourth time is a charm because the third wasn’t solid enough. Before I get too deep into Sutton’s not so great news, we do have so much to be thankful for. 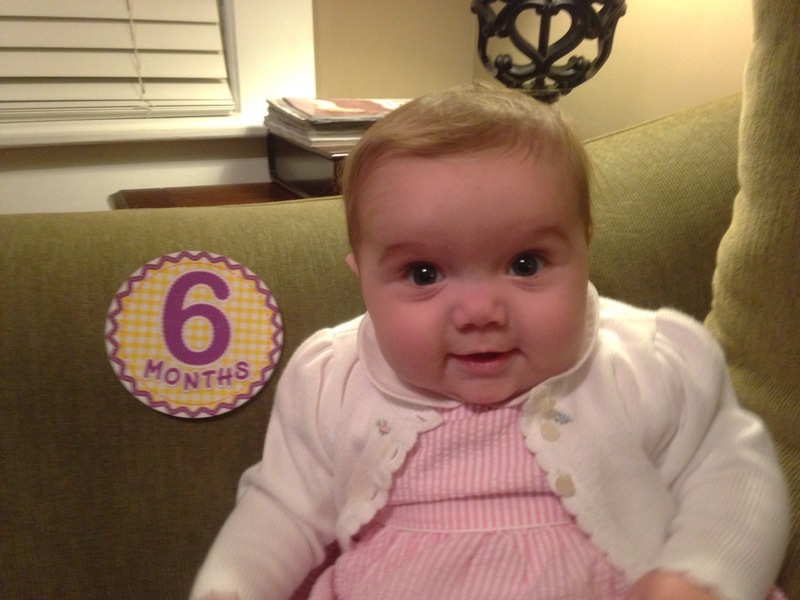 Sutton turned six months old on April 14! She has made so much progress over the past month and a half. She is gaining weight and growing strong better than she ever has. 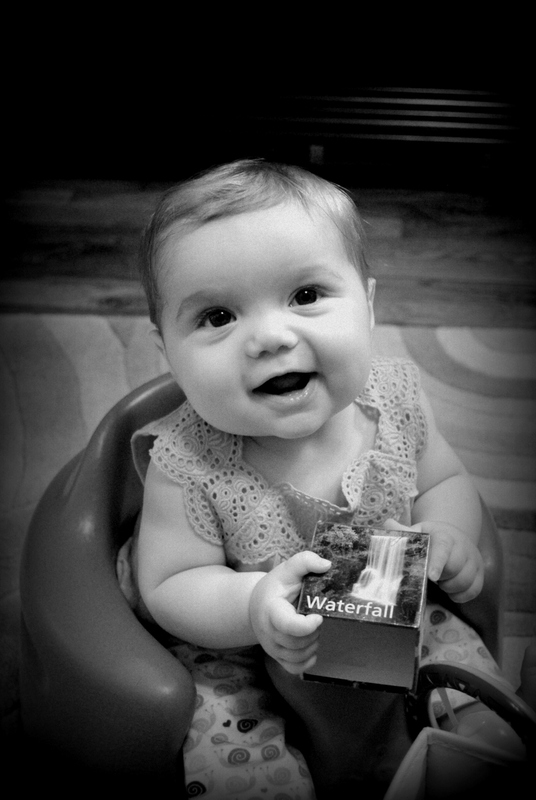 She is over the 75 percentile in height/weight. This is great news since she has been hovering at the 50 percent mark at previous doctor visits. Study’s show that if they are at or above 50 percentile at age one, their lung function at age 18 is significantly better than if they have slow growth in the first year. We all had a big cheer for our baby girl when we got the news, and we finally have some of those trademark Burnett cheeks! Hiatt and Sutton grow closer every day. It is so amazing to watch the two of them interact, although we do have to remind Hiatt that she still can’t do some of the things he does or eat the same food. He will often try to share his snack or feed Sutton. He is constantly making silly faces and they will laugh at each other. He shares his toys with her and will many times cover her up with his own blanket. We have caught him doing everything from reading to her, talking to her and checking her vital signs with the thermometer and stethoscope. He wants to be a part of her treatments and we make sure to give him the important role of turning on the machines we use. Many times, he just wants to hold her and give her hugs and kisses. He is such a good big brother and she loves him the same. They will be best of friends. Some of you are probably thinking from this picture that Brittany’s dad, Britt, has jumped the gun and already has Sutton in a life vest to go kayaking down the river! That would be a good guess, but we actually got approved for a Chest Percussion Therapy(CPT) vest. 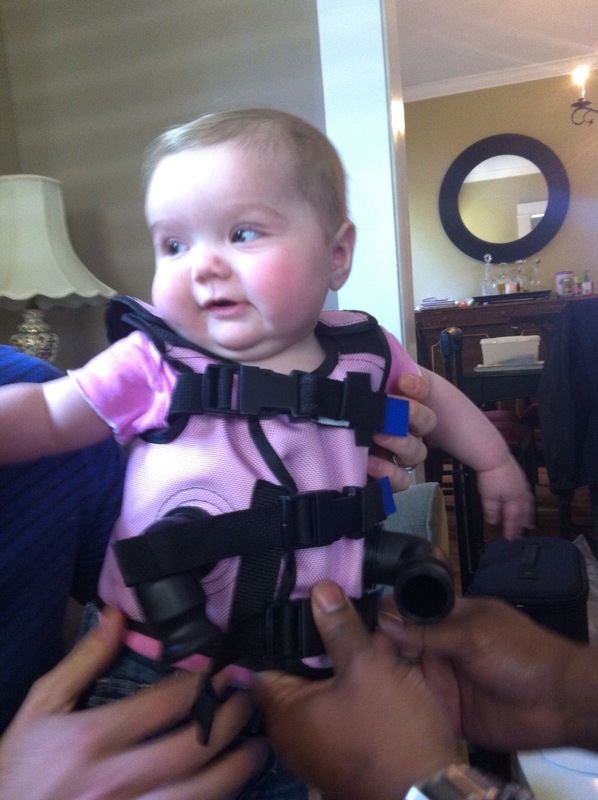 We were originally told that we would not see the vest until around age two, but given all of the hospitalizations and viruses, the doctors thought it was better to start early. It is a much more effective way of her pat therapy we were doing by hand twice a day for twenty minutes. It takes the same time, but now we just hold her with her vest on and let the machine do the hard part. So far she doesn’t seem to mind it and it does seem to be much more effective. It sounds like a helicopter flying by, so I keep getting flashbacks of being in the middle east. The most important part is that it is pink and maintains fashion while performing function. We have been searching for a plan to help raise more money for CFF. We have resorted to the fact that sometimes products sell themselves when placed in front of people. We are in the full swing of fundraising for our spring CFF fundraiser, the Great Strides walk on May 18. We have been putting lots of effort into raising money towards a cure for CF. 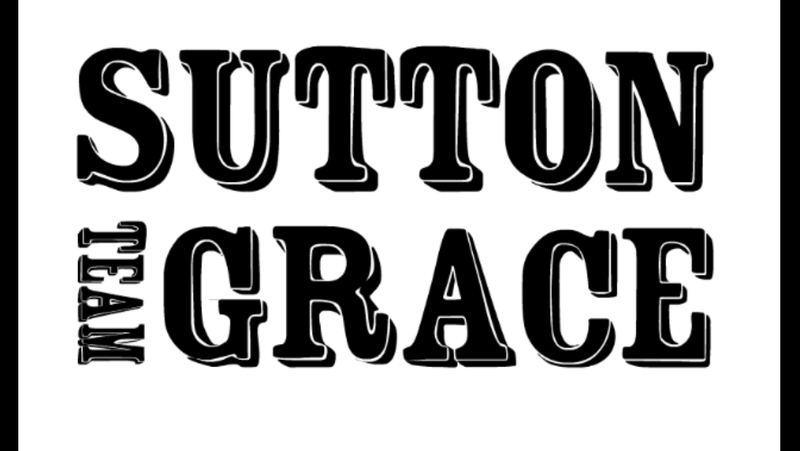 After the Cycle for Life event last year, we had so man people interested in being a part of our effort, we decided to make Team Sutton Grace our permanent team name for all events and have everybody be a part. We have had great success so far getting people to join our team for the walk and already have people on the team for the bike ride in November. We have big plans for Team Sutton Grace and invite anybody who wants to be a part to take a look at our Team Sutton Grace page on this blog. We always want to make sure that you all now, no matter how formal your involvement is, that each of you is a part of the team through your support. 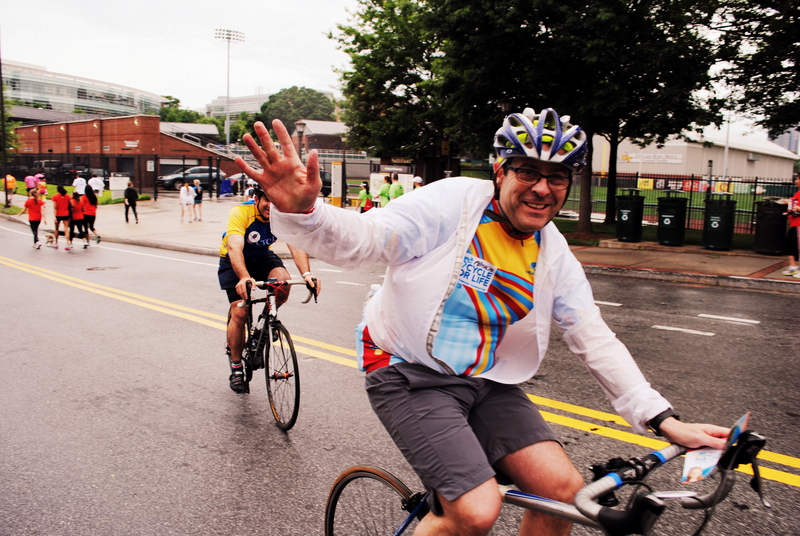 Its not too late to join us on May 18 at Georgia Tech for this years Great Strides walk. We have hopes to raise $10k as a team and are well on our way. We want to end this crazy disease for all of those who have CF and especially our little Sutton. It’s hard to tell through the mask, but Sutton has a big smile on her face. That smile is our motivation. It is our reminder that if you look through tough times, there is always something to smile about. It reminds us why we spend over two hours a day keeping up with treatments and medicines. It reminds us that we have been blessed with a beautiful gift, a grace, in our lives that touches the hearts of so many. This past week has been a little rough. 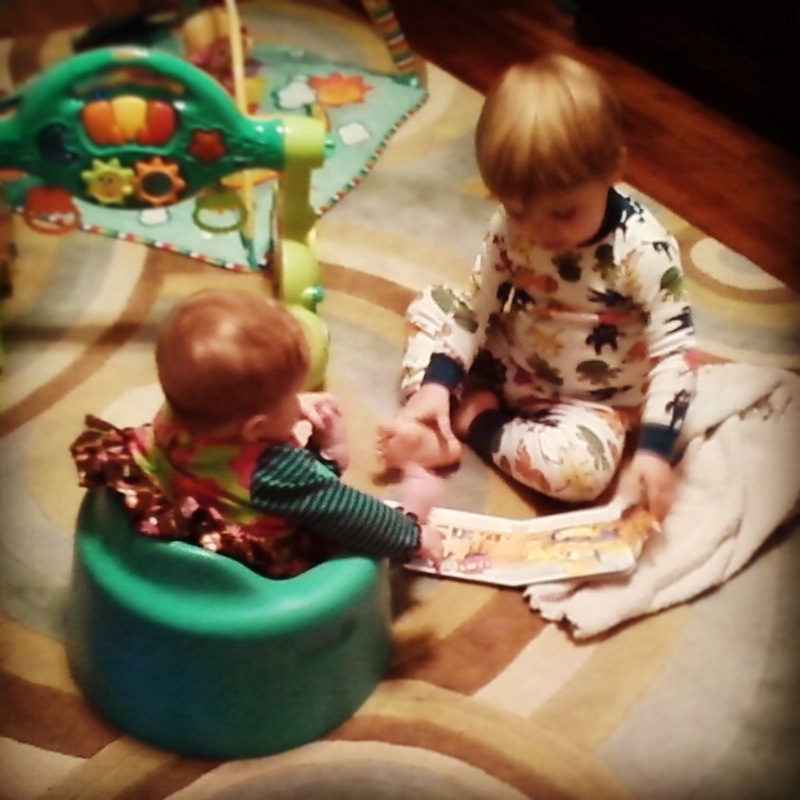 Hiatt and Sutton started with croup a week ago and had a few days of that infamous cough. Hiatt continued to get better, but Sutton just couldn’t kick it and the cough slowly turned into a respiratory mess. ER on Monday, mild runny nose on Tuesday, bad runny nose on Wed and another ER visit with respiratory distress, a better Thursday with a manageable runny nose and then comes Friday. We started off in the ER on Friday morning with more respiratory problems and severe congestion. I took three diapers, one bottle and had a plan to be back home by lunch so I rushed out the door without breakfast. After a few breathing treatments and some deep suction, not much improvement was being made so we went for an X-ray. The X-ray showed pneumonia in the lower sections of both lungs and a culture from her Wed ER visit showed bacterial growth. There was no turning back at that point and we made the transition to be admitted to the hospital which can take a while. We were placed in a temporary room for about three hours so that we could wait for a room on 5 West. As I found out later, the nurses on 5 West knew she was there and put in a little extra effort to get a room cleared, cleaned and ready for Sutton. It was such a warm welcome and it is comforting to see such familiar faces. The doctors came by late evening and got us up to speed on all that is in store for this round of treatment. Due to the pneumonia and the bacterial growth, the plan is to treat her aggressively with antibiotics to get her all cleared up. They are placing a picc line in which is a more secure IV that has much safer access to administer antibiotics. They are also planning to perform a bronchoscope on Monday to get a better idea of what is happening in her lungs and obtain a culture of the bacteria growing to make sure the treatment plan is precise to her needs and clear any bacterial growth from her lungs. We expect at this point to be at the hospital for about two weeks in hopes to clear her up completely. We feel like we are in good hands with both the doctors and nurses with hopes of getting her past this rough season for all of us. We will continue to keep you updated as things progress. We can’t thank you all enough for everything you do to support us. We are Team Sutton Grace. To join Team Sutton Grace on May 18 or to donate follow the link below.